So, a few days pass and I'm feeling a little unstoppable. 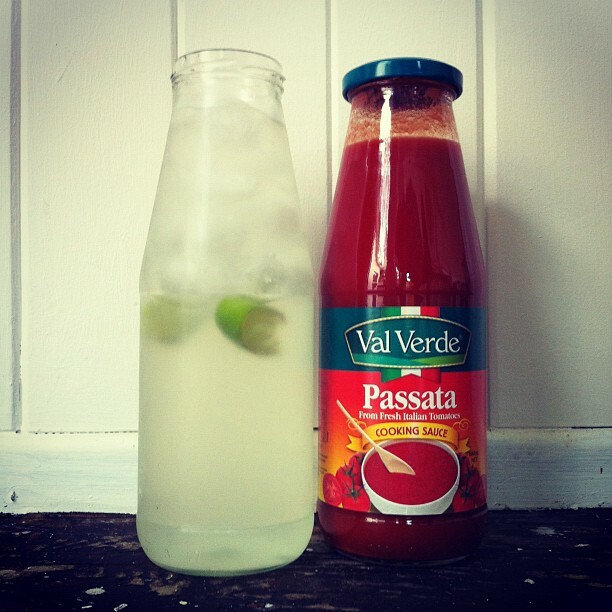 I innocently wash a tomato passata bottle, scrub the label off, chuck some ice in, a few limes... You see where I'm going? A few of these on a Sunday lunch table would look fabbo as a cheap (just $2.49!) 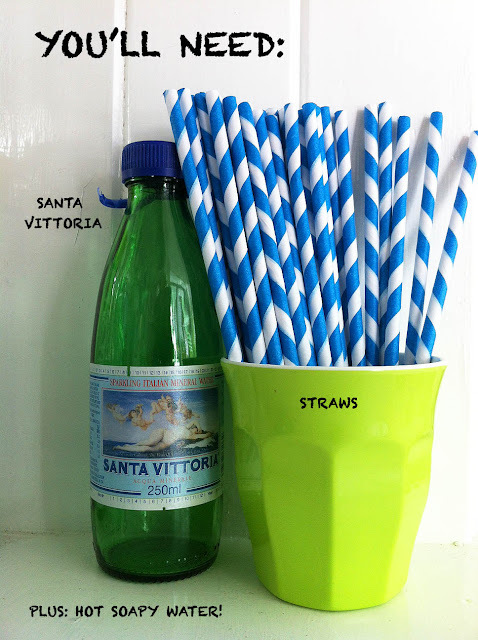 alternative to your regular drinks bottle/jug. Woohoo! 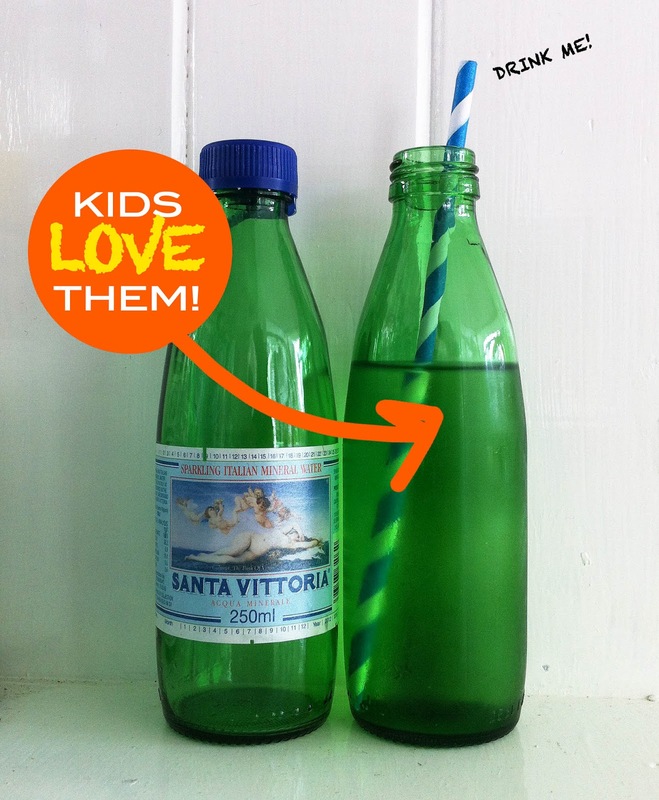 Happy upcycling Tonic-ettes!